Reminder: The bus times that were listed on the student transportation cards that were sent home are estimates. 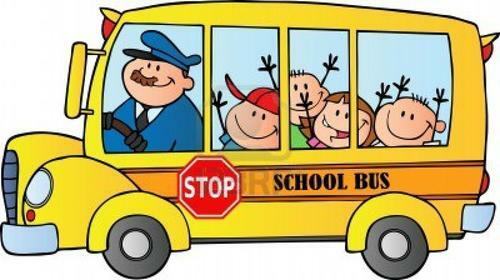 Students need to be out at the bus stop 15 minutes before the bus is scheduled to arrive. Also for the first couple of weeks, the buses will likely be late getting the students home in the afternoon. Please do not call unless it is more that 20 minutes past the scheduled arrival time. The routes generally settle in after the first couple of weeks of school.